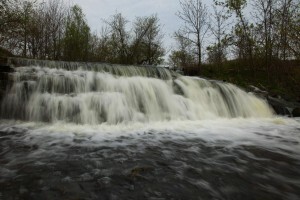 Hunter Falls is a curtain type waterfall with a total height of 10 feet, or 3 metres. Its width can expand to 50 feet, or 15 metres, at high flow. 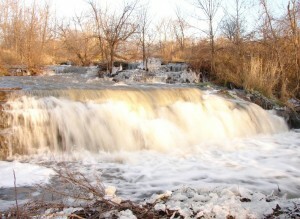 It has year round flow. 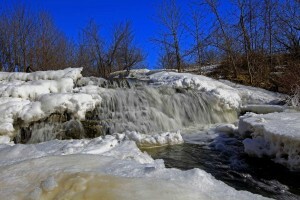 Its GPS coordinates are 17T 0566788 4790984. 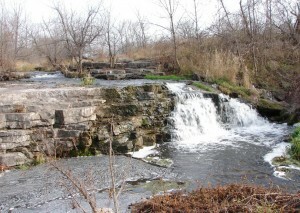 Hunter Falls was discovered by David Rees. 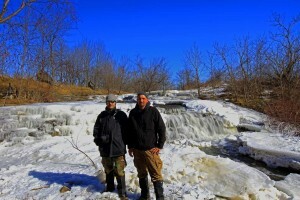 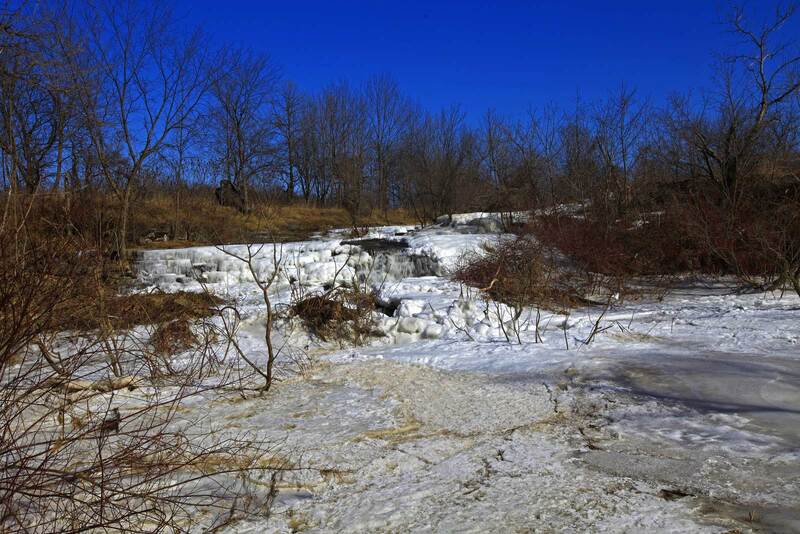 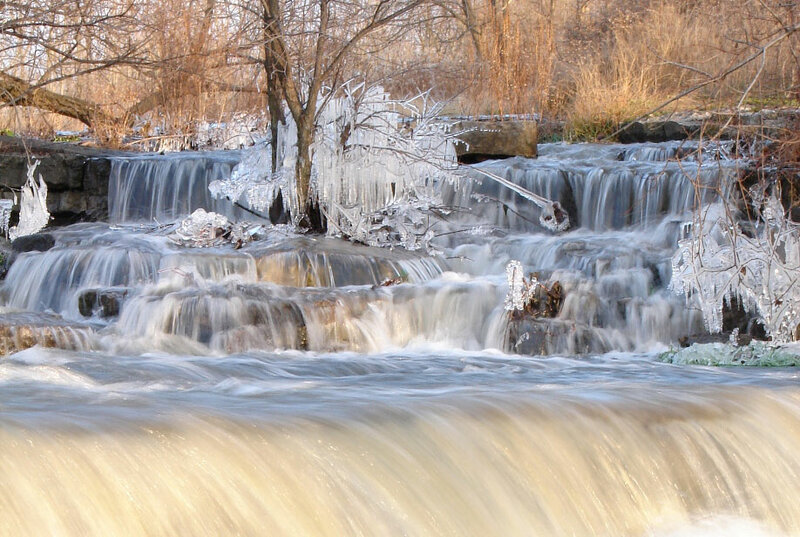 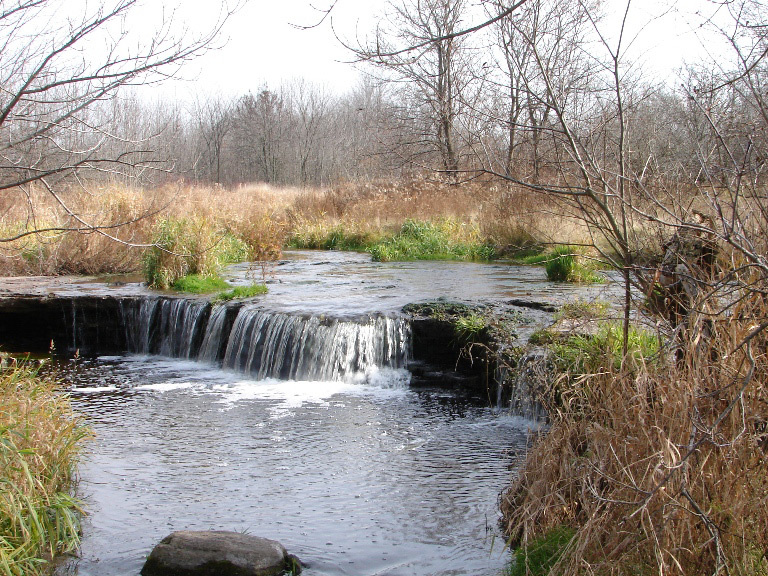 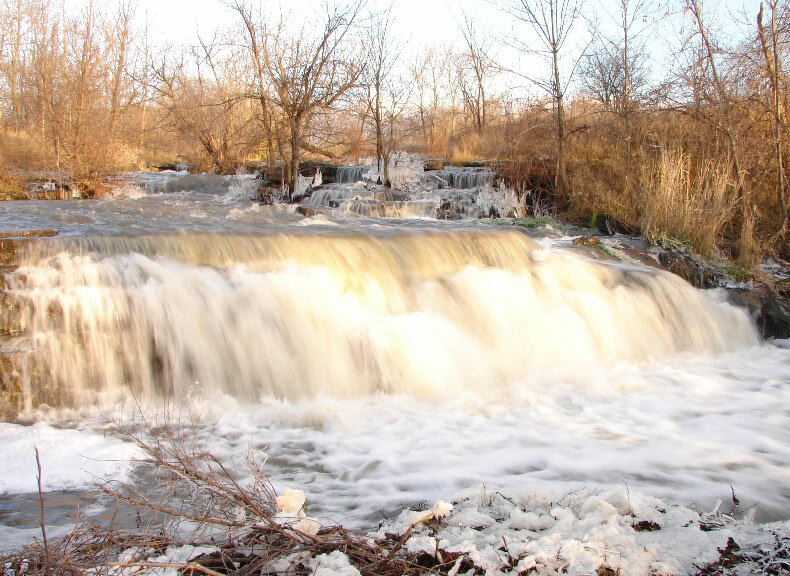 It is a nice waterfall on Hunter Creek, which flows into Fairchild Creek and then into the Grand River. 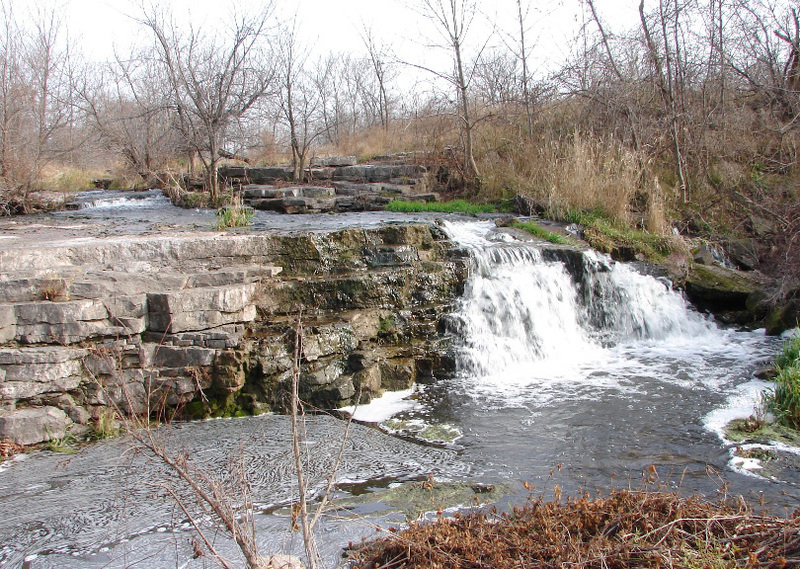 Hunter Falls is in Troy, located across from the Longhorn Cattle Ranch (543 Hunter Road). It is technically on private property but can be seen from the roadway.